A tennis moonballer can be one of the really hard and difficult opponents, especially if you have no strategy developed with which to battle this kind of opponent. A moonballer is the kind of tennis player who is usually defined by her quite deep and high return shots (hence, the term “moonballer”), along with topspin that is normally moderate, but can also get quite heavy. From the perspective of this kind of tennis player, such a strategy is really effective since it can be quite simple to pull off and is quite low in risk. Of course, the lobber still has to be fit and patient, but these are relatively basic tradeoffs that player has to make to successfully execute against her opponents. This kind of tennis player used to be quite popular on the pro tours and routinely on the women’s side. Another way of looking at a tennis moonballer is by calling her an even more specialized form of human backboard. If you are not used to the kind of shot that this tennis player makes, you are in for a hard time, and this kind of tennis player can usually keep this up for a long time! 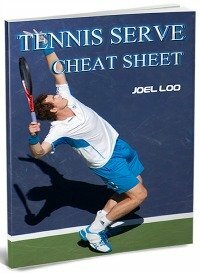 Here is how to beat a tennis moonballer. First of all, you should really attack the net when playing against this type of tennis player. 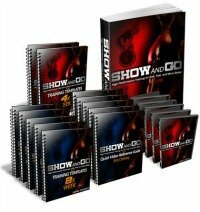 However, you should already be expecting to hit your fair share of overheads as well as to pursue a plethora of balls back toward your own baseline. If you would be playing simply an ordinary counter puncher, that would be one thing, yet playing a moonballer means having to come in on a much better approach shot. You should try to think outside the proverbial box and include some sneak volleys. Begin trading moonballs back and forth with this kind of tennis player, essentially turning the tables on her. Then, after you have succeeded in hitting a high and deep shot against her, sneak up to the net and receive the next tennis ball in the air. It will be difficult for the moonballer to observe your maneuvers as she is tracking a high and deep tennis ball, so she may well fail to see you until the time when you are prepared to either pound the swinging topspin drive volley or the smash. Get familiar with hitting on the rise. A moonball will be the hardest with which to deal if you permit it to bounce completely outside your comfort zone. Through hitting them on the rise, you’ll be capable of taking them at an easier height, your ball is going to come back to the moonballer’s side quicker and the ball is going to bounce off of your strings more aggressively, thus providing your shot a lot more power with a lot less effort. Unfortunately, to be able to time this—one of the important tennis strategies—right will be difficult. It requires lots of practice but it certainly can be achieved. Finally, pull the moonballer to the net. At this point, she’s going to be rendered too ineffective to hit a successful moonball off of either your low, short ball or your drop shot. Thus, she is likely going to attempt to feed you an approach shot that you ought to be able to tackle with competence. 1. Attack the net but be sure to get ready to hit more overheads or running back to your baseline. 2. Try to sneak in to volley if you managed to hit some high deep shots against her. 3. Hit on the rise to cut away her time. 4. Pull the moonballer to the net by hitting a low short ball or a drop shot. 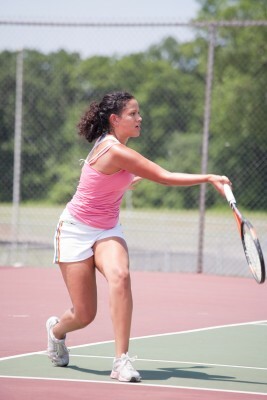 As you can see, playing this kind of tennis player takes a lot of initiative so that you can really take it to her. It also involves think outside the proverbial box and trying something you may not necessarily be all that familiar with. Though this kind of tennis player is not around in the tour frequently but on a recreational level, you will still find some moonballers around. Be calm and use the strategies that I taught you against them. Stay focus and be patient. 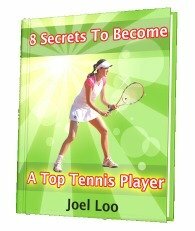 From ''Tennis Moonballer: 4 Secrets To Beat Them'' To "How To Play Tennis Efficiently And Become A Better Player"